Mexico’s beaches and its colonial highlands are only the tip of the iceberg. No matter the type of climate or scenery you prefer, or whether you like small-town or big-city life, you’ll find exactly what you’re looking for in Mexico…and it will come with an exceptional quality of life and amazing affordability. If you are, as I’m, the sort who loves exploring new cultures, you can do that here, without ever leaving the country. You can even do as I’ve done, and live for awhile in more than one a place in Mexico that tickles your fancy. Over the years, I’ve lived in three different communities in Mexico and have now returned to Ajijic, on the north shore of Lake Chapala. While I love it here, I can’t help thinking of elsewhere in Mexico I might like to live or invest in property. 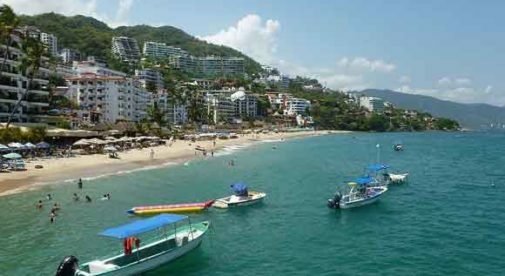 If I were looking to live at the beach, I’d look at Puerto Vallarta. Beyond its touristy vibe, it’s real city with a lively art, music, and restaurant scene. There is a well-organized expat community with plenty of activities to take part in. Development in this area extends both north and south along the coast from the city, but especially to the north, into the state of Nayarit where many upscale, gated communities can be found. Still, you can find bargain properties in the city itself, such as a modern new condo just a few blocks up the hill from the malecón, with a gorgeous ocean and city view, two bedrooms, and two bathrooms. In a seven-unit complex with a rooftop swimming pool and barbecue area, it’s selling for $199,000. There’s a two-bedroom fixer-upper house in an area called “Gringo Gulch” selling for just $110,000. If your dream is to be right on the beach, probably the best beachfront bargains in Mexico today can be found on the Yucatán Gulf Coast, north of the lovely colonial city of Mérida, the capital of Mexico’s Yucatán state. You can buy a 2,185-square-foot, oceanfront lot in the popular town of Chuburná for less than $50,000. In the heart of another popular town, called Chicxulub, a three-bedroom, three-bathroom penthouse condo overlooking the ocean (and with a community pool) can be yours for just $98,000. In Telchac Puerto, a three-bedroom, four-bathroom home is selling for $115,000. The kitchen needs some updating and the house needs a coat of paint, but it’s right on the beach…and it has a swimming pool. There’s one more beach region in Mexico I have on my radar, and that’s the northern Baja, just across the border from San Diego, in the area from Tijuana south to Ensenada along the gorgeous blue Pacific Coast. In this part of Mexico, you have access to airports in both Mexico and the U.S. and it’s easy to drive (or walk) back and forth across the border. Just south of Rosarito Beach, I’ve had my eye on a 1,400-square-foot, two-bedroom, two-bathroom condo with a gorgeous ocean view from every room. It’s in a complex with a clubhouse, tennis courts, gym, and two swimming pools. The asking price is $169,900. Nearby, a three-bedroom, three-bathroom home with a three-car garage, swimming pool, and yes, an ocean view, is selling for just $216,000. You can find bargains like this all along this coast to Ensenada and beyond. Just outside San Antonio de las Minas where the Guadalupe Valley begins, a pretty, 1,500-square-foot, three-bedroom, country-style home is selling for just $150,000. A river runs adjacent to this property which is more than half an acre in size, and planted with flowers, shrubs, and fruit trees including orange, mandarin, grapefruit, Meyer lemon, pear, apricot, pomegranate, guava, and apple. You’ll also find blackberries, strawberries, Thompson seedless grapes, and Red Globe grapes on the property. Like the rest of Mexico, this area has much to offer…and the prices and amenities are hard to beat.